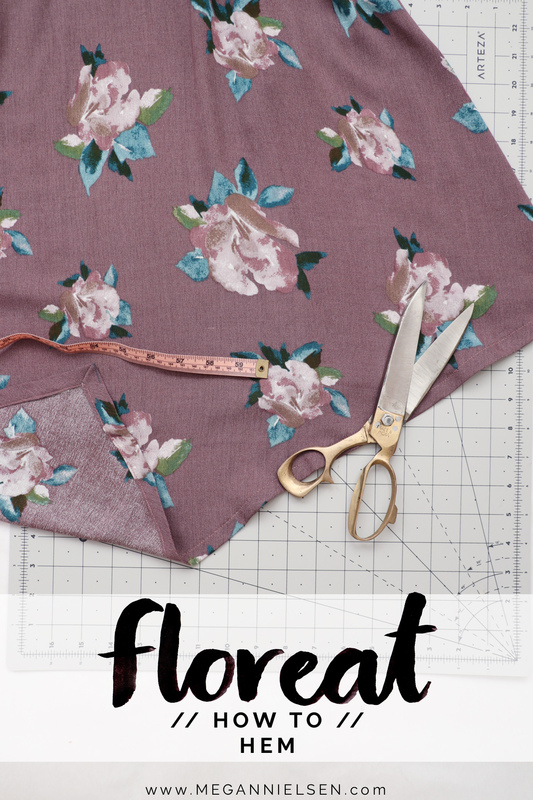 Here we are, the final step for our woven Floreat sewalong. 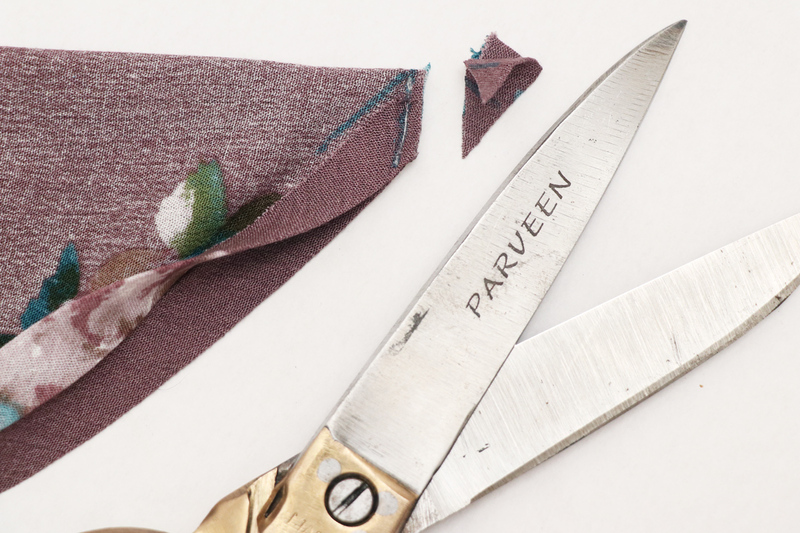 It’s time to hem! 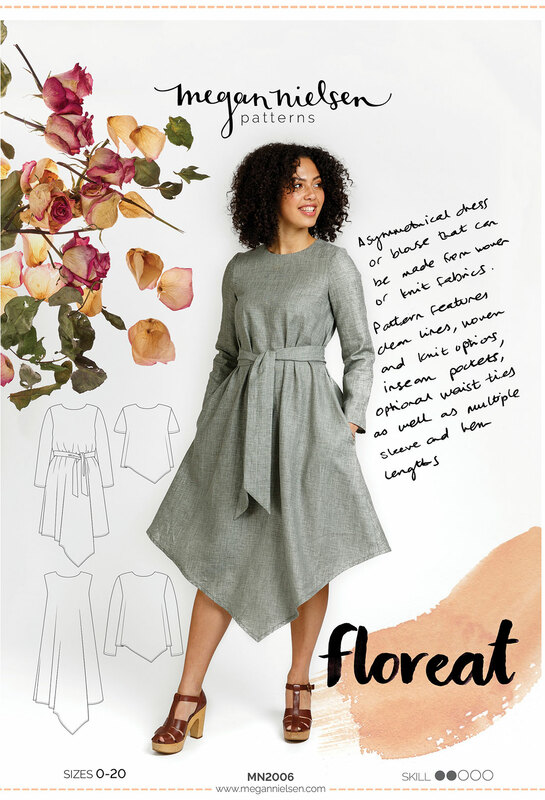 Whether you’ve created a dress or blouse, sleeves or sleeveless, pockets or none, zipper or slit – all that is left to do is finish that bottom raw edge. And it’s the same process for all versions. 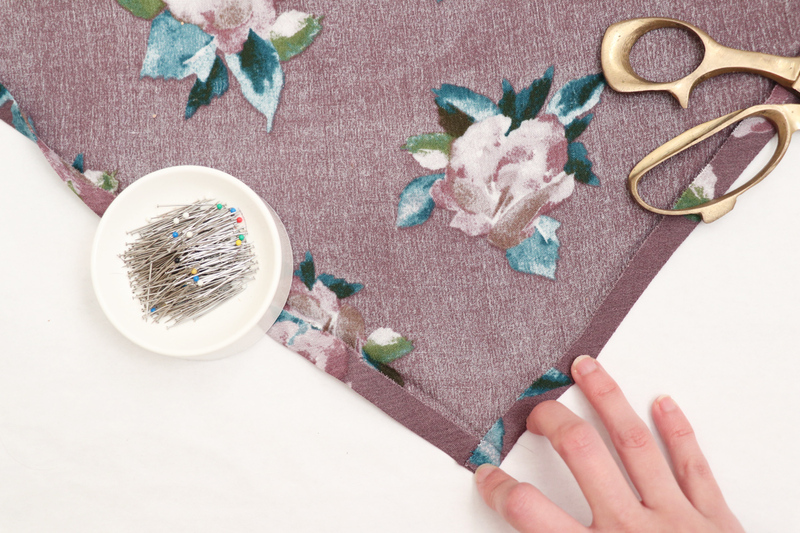 I’ll go over the basic hemming method, as well as really neat a clean way to finish that corner point – a mitered seam. 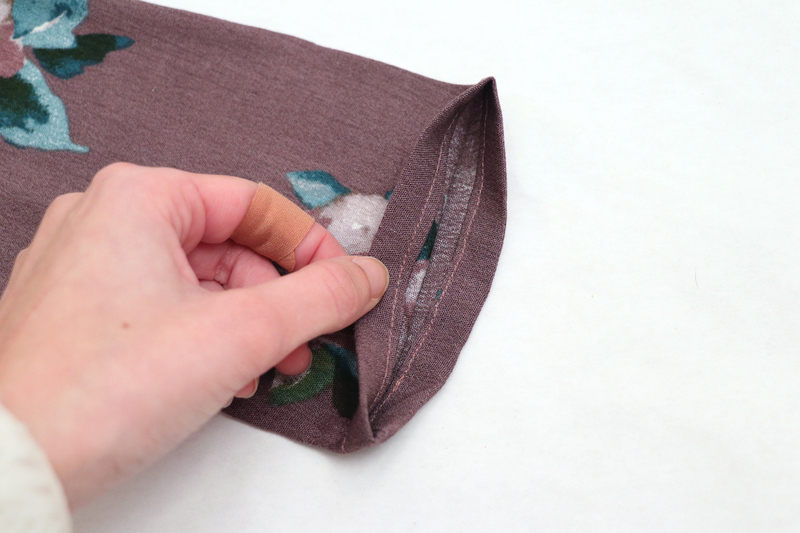 And then to finish it off, we’ll quickly go over hemming the sleeves as well. 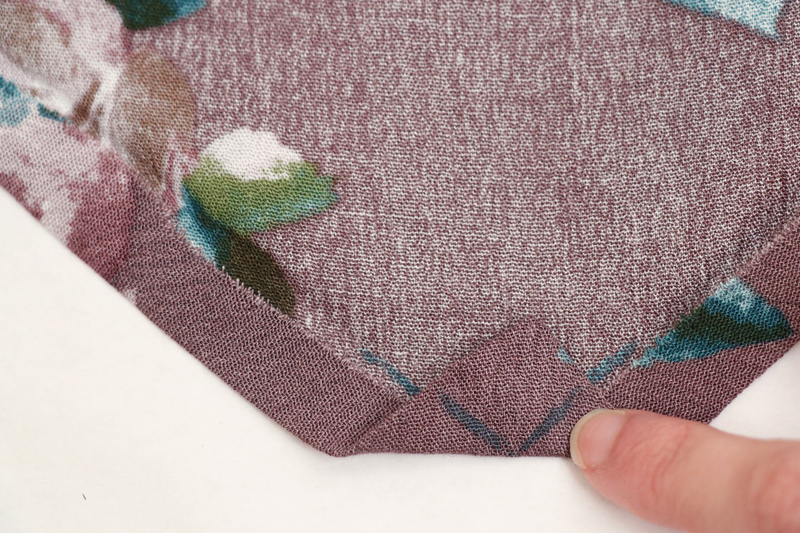 Fold in 3/8″ around the entire hem and press. 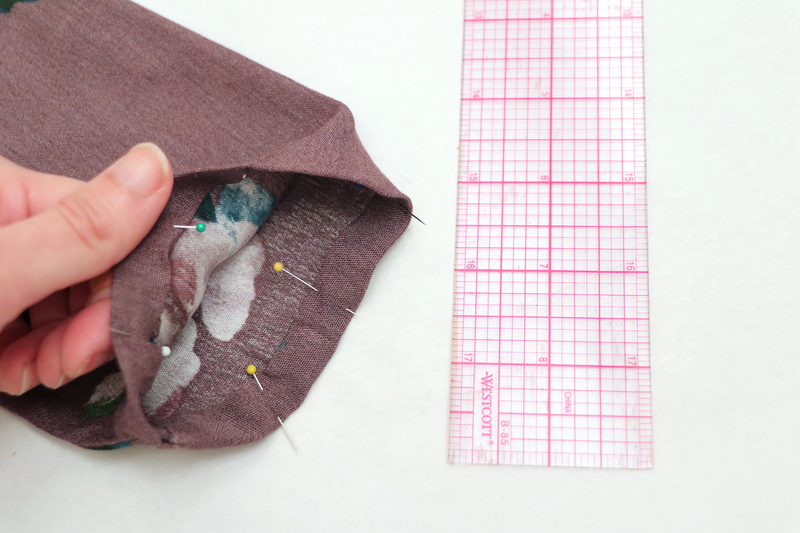 Fold over again by another 3/8″, encasing the raw edge. Press. 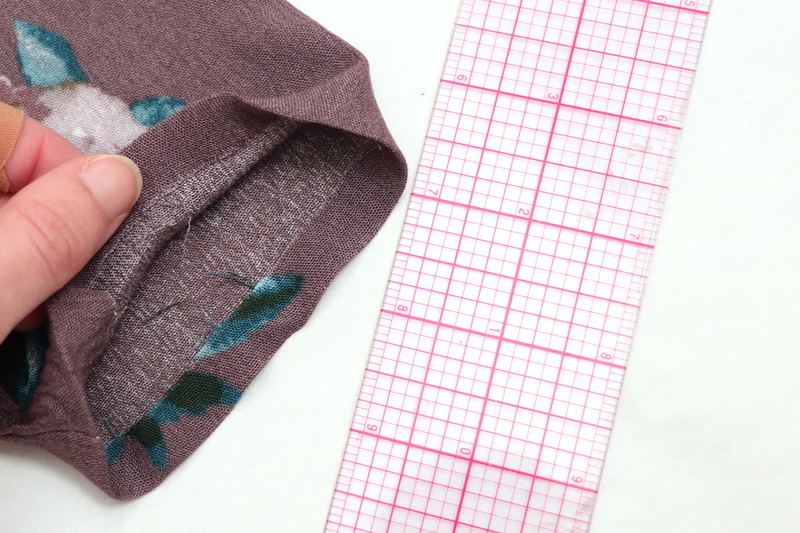 If you’d like to just go with the basic hemming method, you can just go ahead and stitch now (see a few steps below). Temporarily unfold the second fold only. 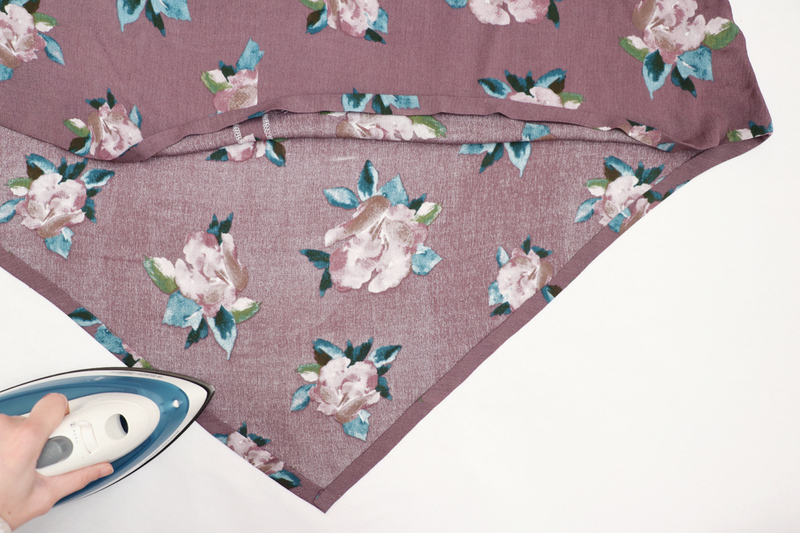 Keep that first 3/8″ fold in place. 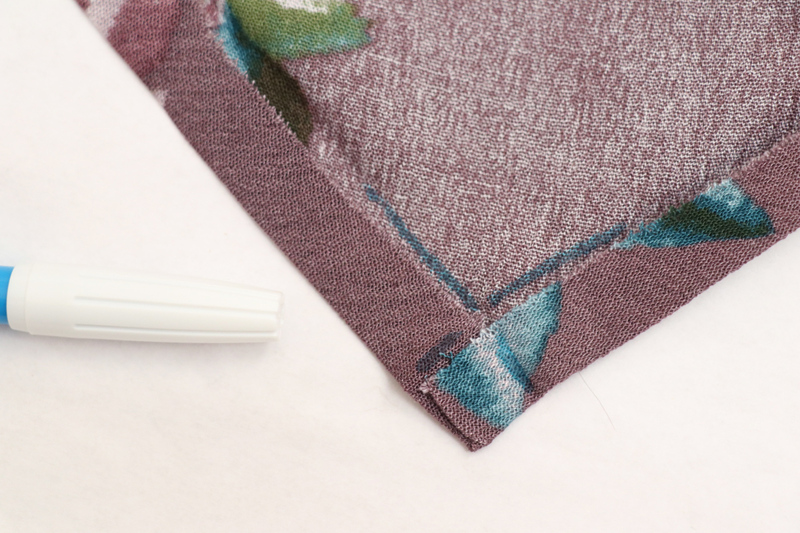 Using tailors chalk, water soluble fabric marker, or another marking tool, mark the crease lines of the second fold. 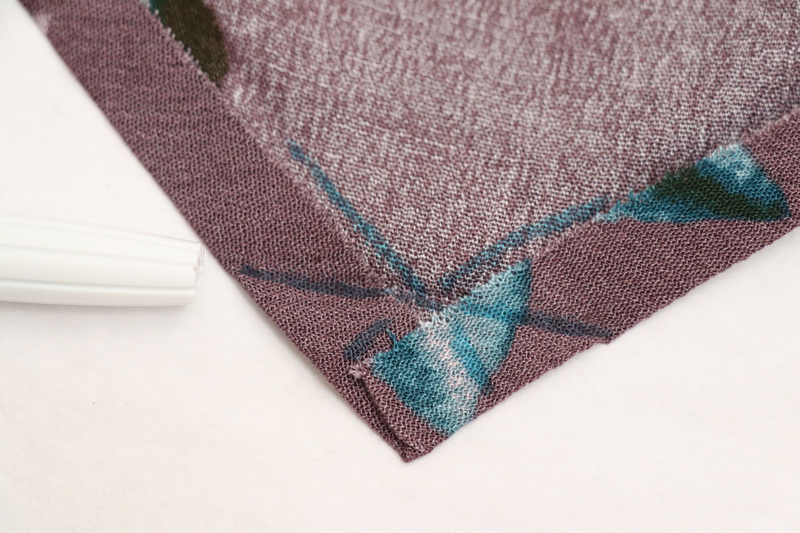 I also mark it on the right side of the fabric, too. 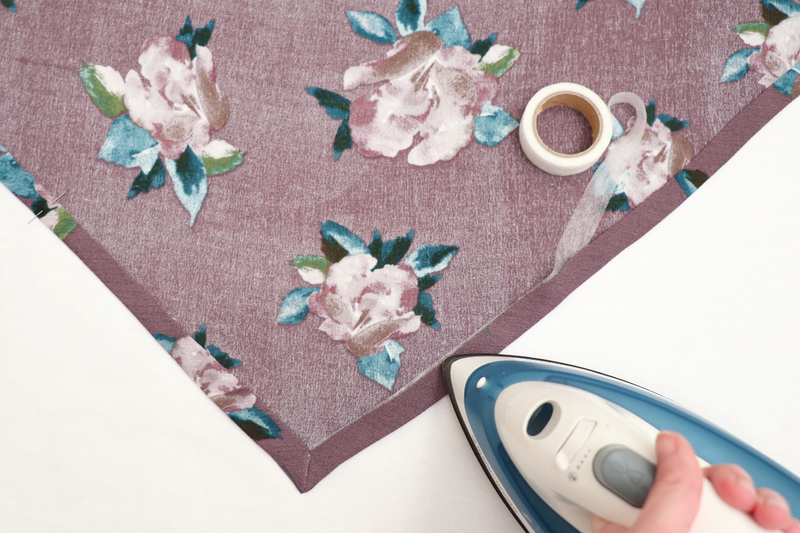 Stitch along that diagonal crease line. 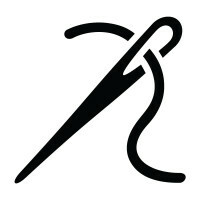 Make sure to backstitch at each end to secure it. 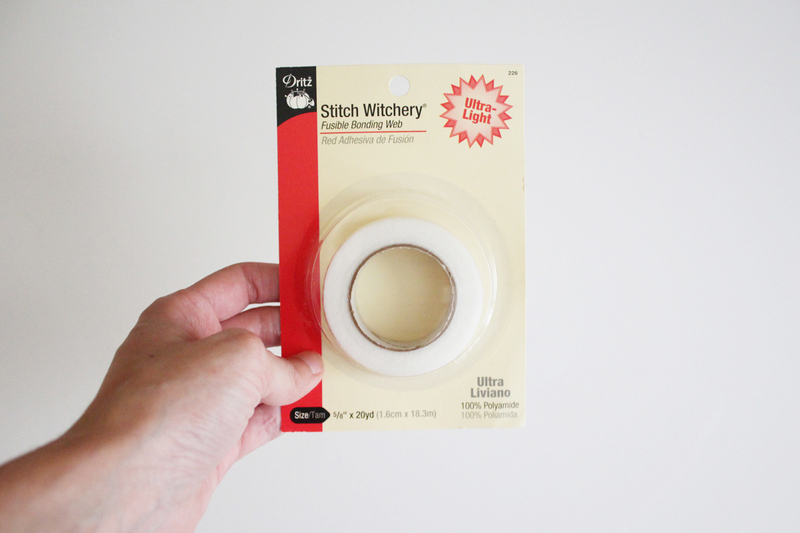 Have you ever used a fusible hem tape like Stitch Witchery? 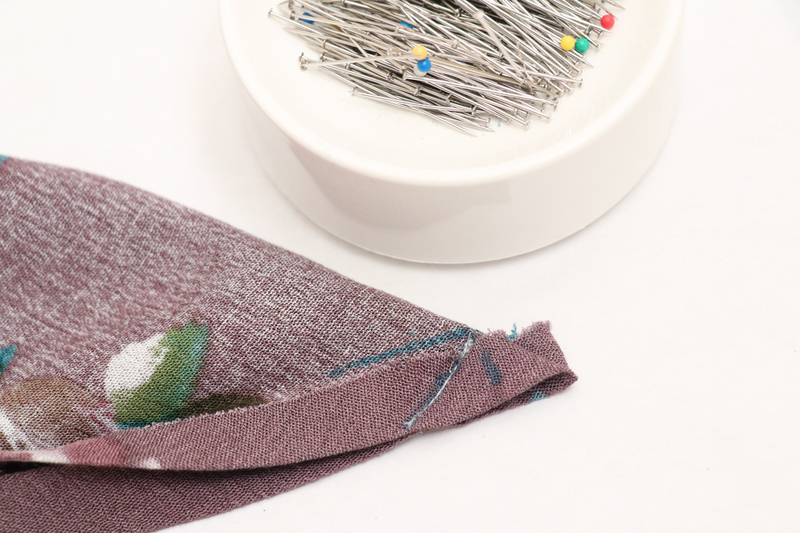 It provides stability to hem, prevents it from stretching or twisting, and holds it in place for topstitching without the need for pins. 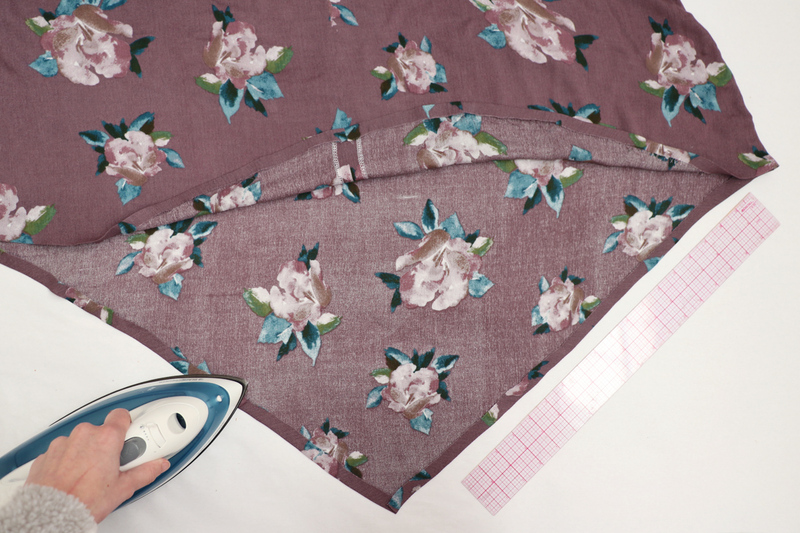 Just simply sandwich the hem tape in between the hem fold and iron to fuse it in place. Super simple! 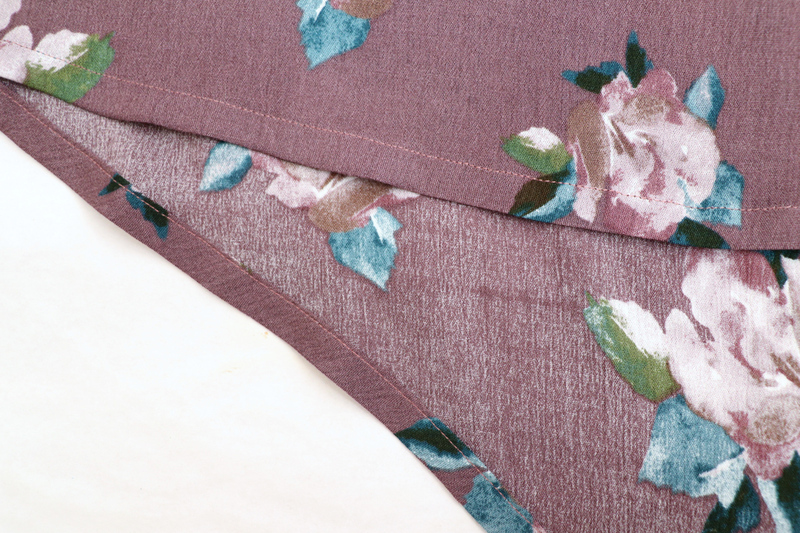 Topstitch just under 3/8″ from the finished edge of the hem, around the entire hem. Just pivot at the corner! 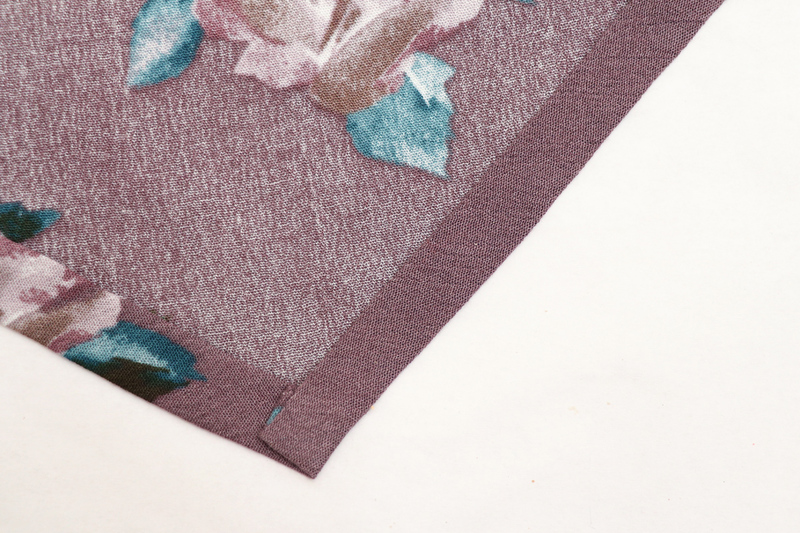 It’s the same exact process for the sleeves, whether short sleeve or long sleeve. First turn under 3/8″ and press. 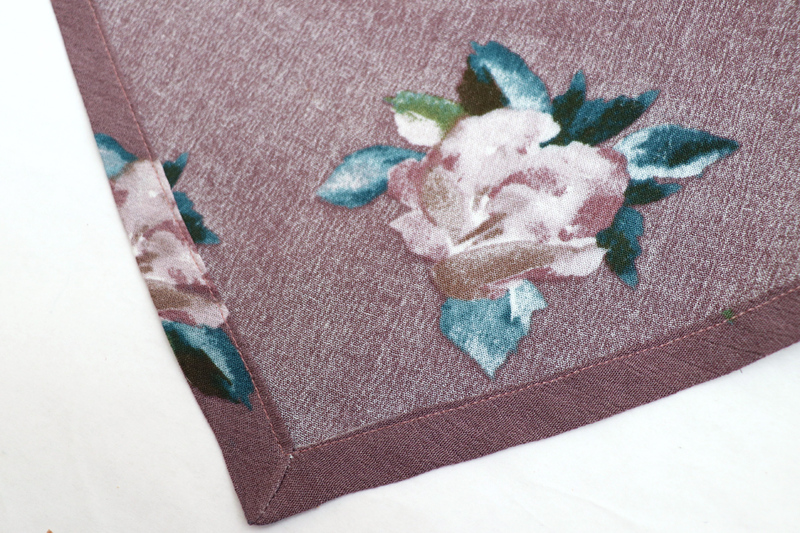 Turn under another 3/8″ and press again. 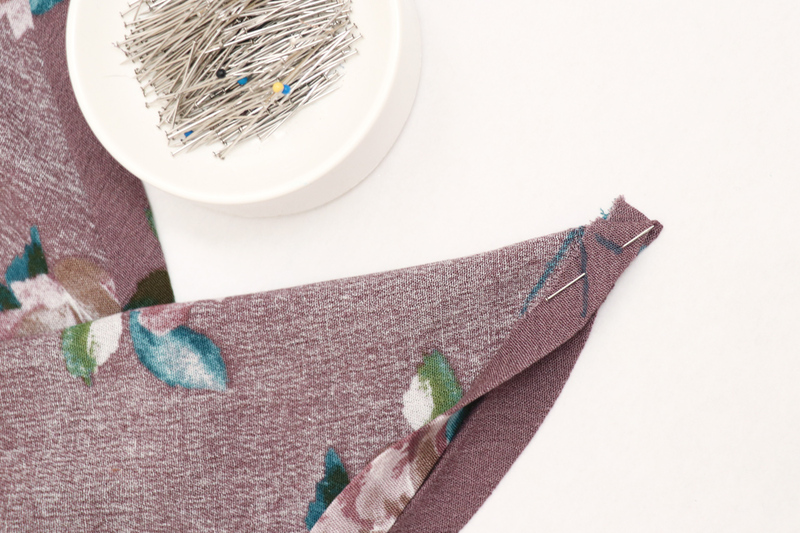 Either apply your hem tape, or pin in place. 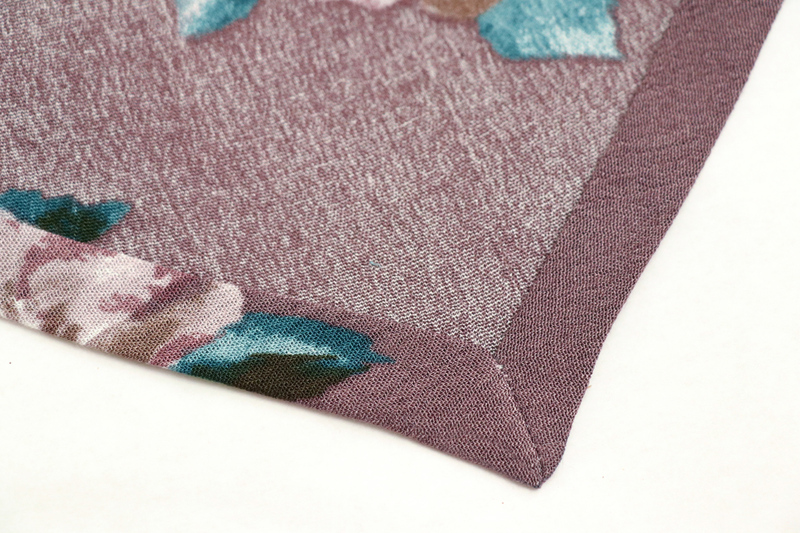 Stitch just under 3/8″ from the finished hem edge.